Adolphe Adam; Alfredo Catalani; Ambroise Thomas; Camille Saint-Saëns; Carl Maria von Weber; Charles Gounod;... Very Good. In very good packaging. 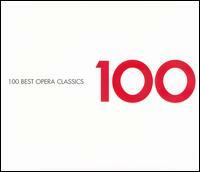 100 Best Opera Classics.